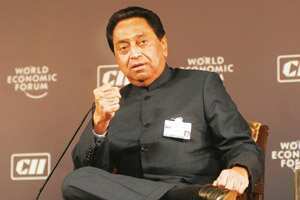 New Delhi: With infrastructure being a key roadblock in India’s quest to achieve rapid economic growth, Kamal Nath, minister for roads and highways, knew investors would be keeping a close eye on his session at the India Economic Summit on India’s New Highways. Nath didn’t disappoint. Making good use of his plain-speaking skills—which were put to ample use in his last job as minister for commerce and industry—he was blunt in stating the challenges he faces. “We’re not only the world’s largest democracy. We are also the rowdiest," he said. “We had our decade of information technology, now let’s have our decade of infrastructure," he said. As a first step, Nath wants to make sure he achieves his target of building 20km of roads per day. It’s an ambitious target as by Nath’s own admission, his predecessor only managed to lay between 2km and 2.5km a day. Nath says he’s already started making progress and should get to his target by March. For him to achieve his aim of building 7,000km of roads by the end of next year, his ministry needs to have 20,000km as work in progress. To get there, the ministry plans to award $20 billion (Rs93,600 crore) worth of contracts for national highways across the country in the next eight-nine months, 85% of which would be given to concessionaries in the private sector. Among the many problems that trip up the timely completion of road building projects is land acquisition, and Nath said he’s moved to put in a system that has reduced the time taken to buy land from 18 months to eight. He’s also moved to stop awarding projects where less than 80% of land has been acquired by his ministry. Panellists sharing the dais with Nath noted that he’s managed to get things moving again. “The minister has been able to bring an attitudinal change," said Harpinder S. Narula, chairman, DSC India, an infrastructure firm. Still, there are several issues that could trip up this expansion in India’s highway network. Termination clauses in contracts have been amended. Project costs are often inaccurately estimated. Nath noted that he has made his displeasure known to the consultants who made these assessments. “There are huge risks for developers. All that’s needed is a gentle tweaking of agreements to set the balance right," said David Birch, managing director, Halcrow Consulting India Pvt. Ltd, which advises on highway design. Dispute resolution is often a problem. It’s a long and arduous task but Ajit Gulabchand, chairman of Hindustan Construction Co. Ltd, noted that the private party usually wins against the government in such cases. With road building identified as a key thrust area for the United Progressive Alliance government, Nath knows he has much ground to cover. “Wealth does not create roads, roads create wealth."